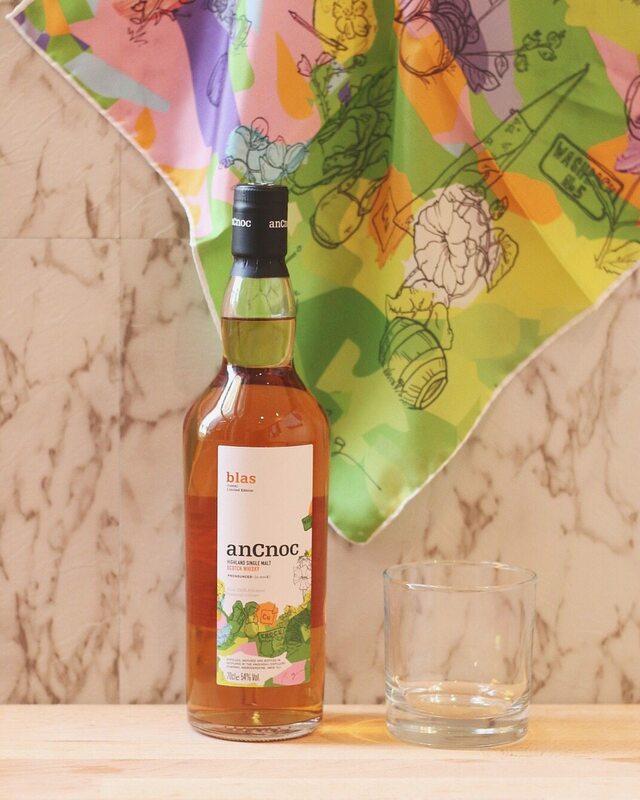 anCnoc has released a limited edition whisky in collaboration with designer Patrick Grant. 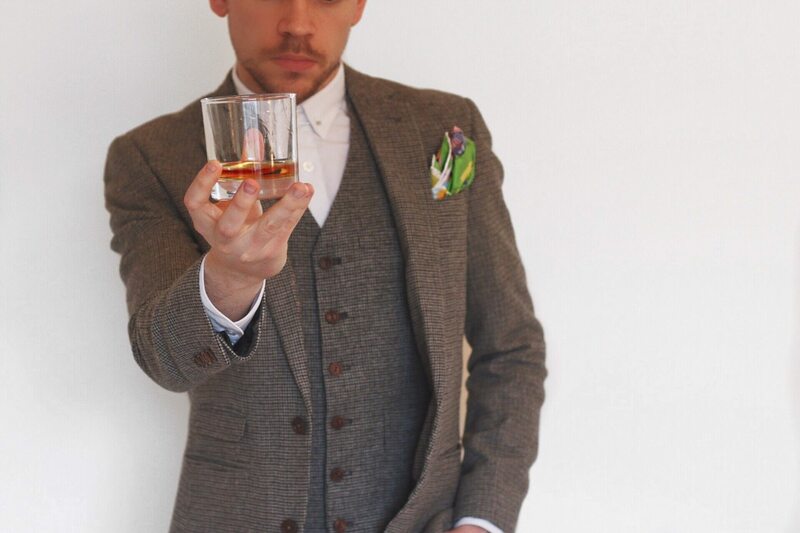 Named Blas (Gaelic for ‘taste‘), Patrick took over a year to design the whisky’s bottle. He created the design to embody everything anCnoc represents: its Highland home, rich heritage and the spirit of a modern tradition. 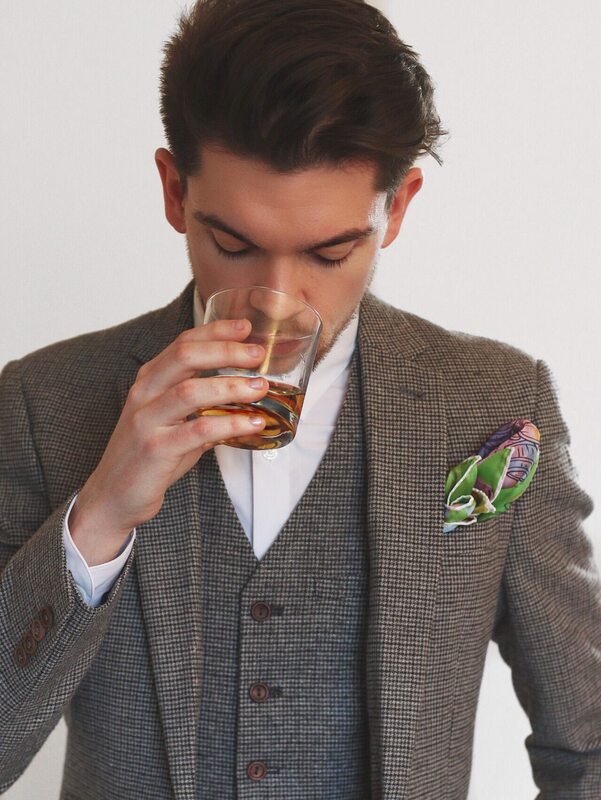 As the creative director of Savile Row tailors Norton & Sons; menswear label E. Tautz; and a fellow Scotsman, Patrick was an obvious choice for the collaboration. Blas has been matured in Spanish and American oak and bottled in its most natural form – neither chill-filtered or coloured. Naturally golden in colour, it has notes of lemon and orange peel, with tones of bitter chocolate and vanilla adding complexity and weight. 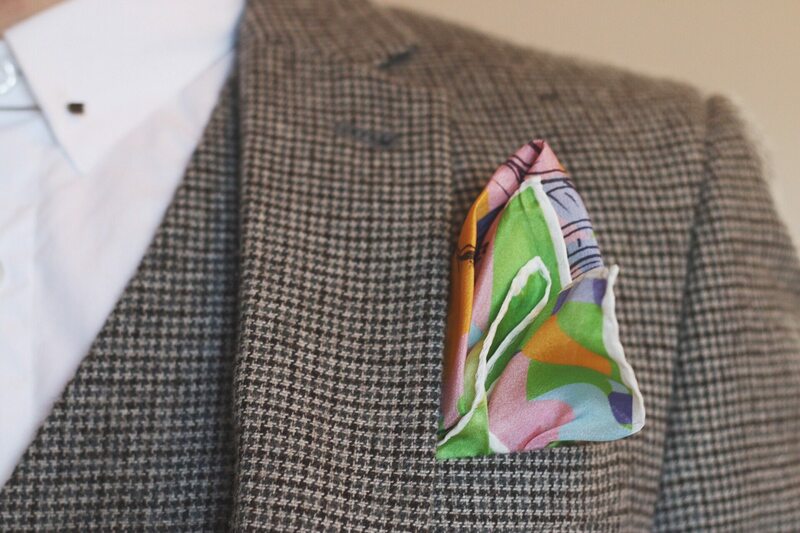 The limited edition print has also been used to create silk pocket squares. They’re not available to buy, but I was lucky enough to get my hands on one of them. See how I’ve styled it below. The Patrick Grant limited edition, Blas, retails at £50 for 70cl and is available from independents and specialist retailers throughout the UK.